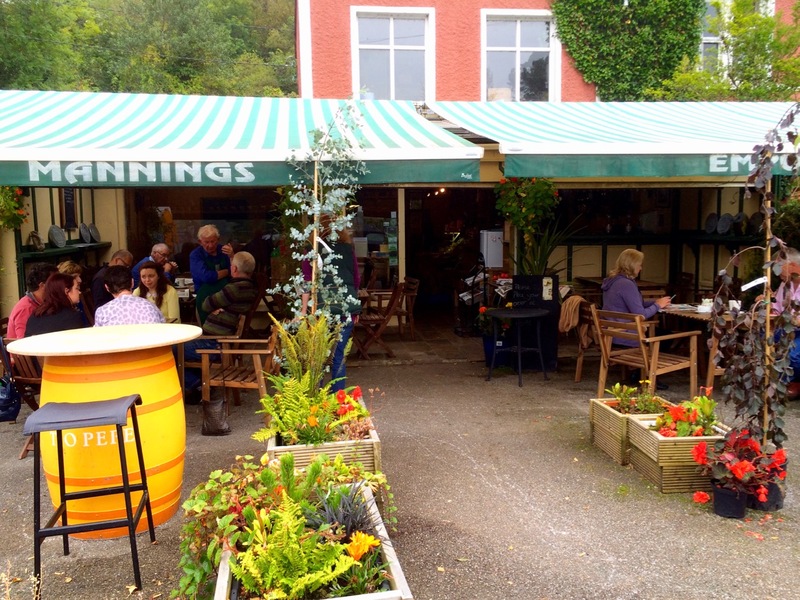 Festivals are high points of summer here in West Cork. Whatever the weather (and it’s always erratic), there is a very predictable buzz abroad wherever they happen. Rain or shine, people gather – the streets are busy, the cafés are full, the excitement is palpable. 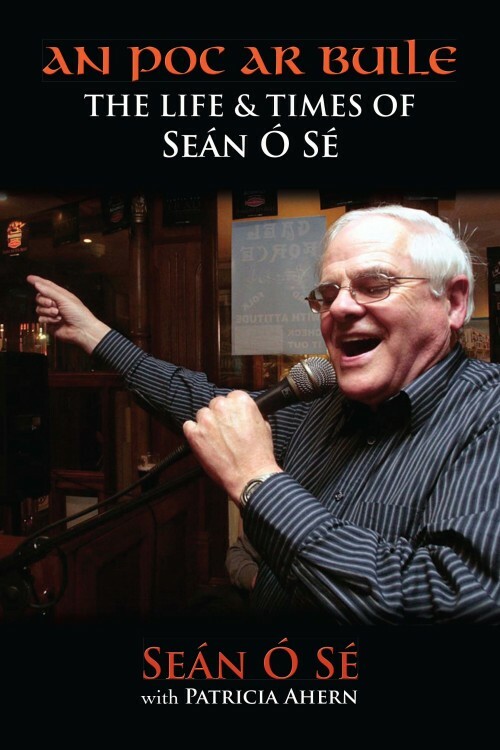 A highlight for us at the moment is the Literary Festival in Bantry, and we were particularly engaged this week by a couple of hours of chat, readings and songs from a ‘Bantry boy’ now turned eighty – Seán Ó Sé. Last year Seán became an author or, more exactly, he collaborated with Patricia Aherne to tell the story of his life – which is a fascinating one. This Seán comes across as completely honest, unpretentious, and with a deeply embedded faith. 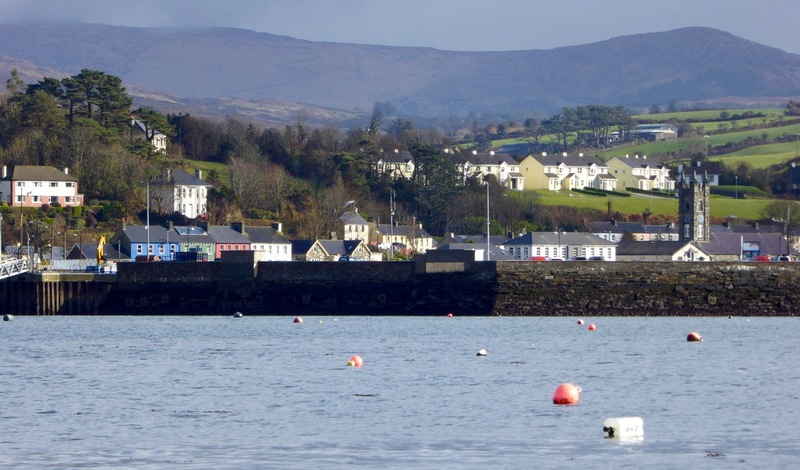 Life has taken him on a long journey from Ballylickey – on the shores of Bantry Bay – to a world stage. Woven in with a full time teaching career in Wicklow and Cork (…I never took a day off in my teaching career to go singing… says Seán …Singing was for sport, but if there was jam, that was fine too…) he has been to – and performed in – Canada, America, Cuba, Russia and China, and is still a legend in his own country of Ireland – and particularly in his own corner of it, County Cork. 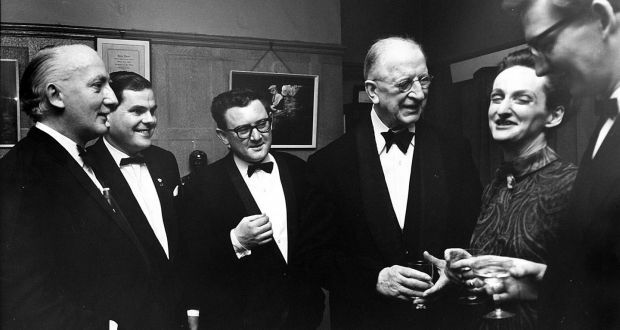 He is both raconteur and singer and he has been close friend and colleague of our second Seán: Seán Ó Riada – a most profound influence on music in Ireland in the twentieth century. 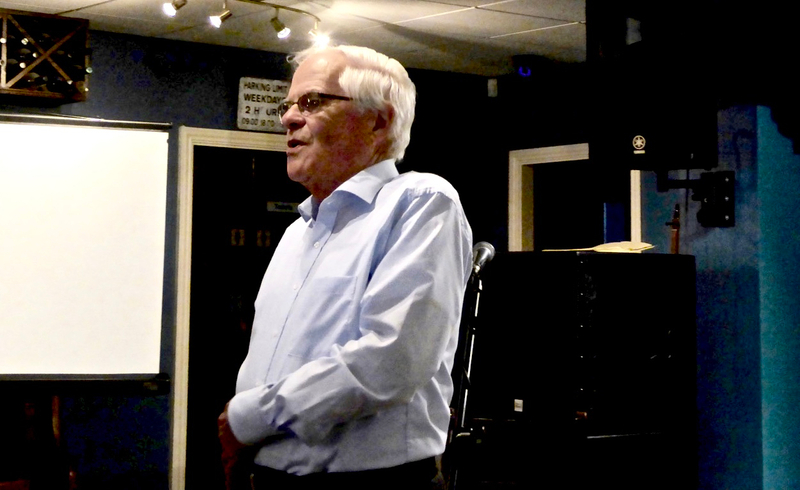 Seán number one told us about his first meeting – an audition – with Seán number two in the 1960s. In spite of being chronically shy the younger man must have made a good impression, and Ó Sé worked closely with Ó Riada on many of his major projects until the latter’s untimely death in 1971 – at the age of 40. 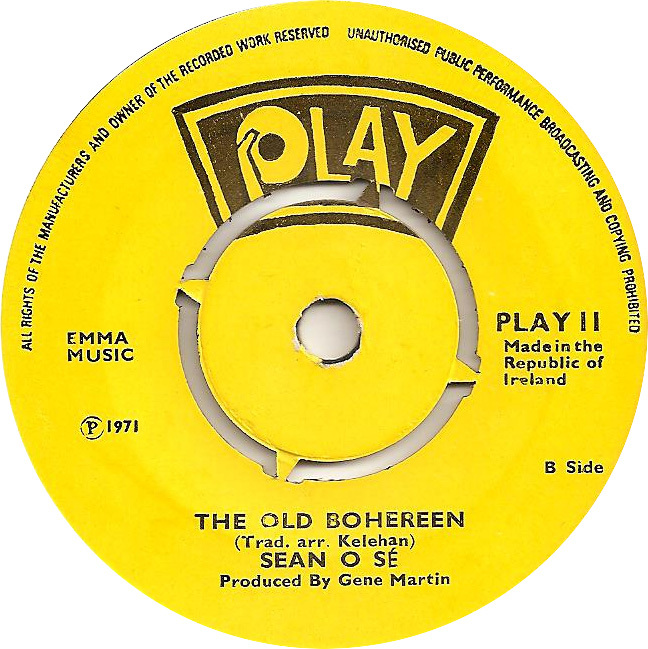 Famously, Seán Ó Sé was part of a group led by Ó Riada who performed at the Gaiety Theatre, Dublin, in March 1969. The concert was recorded and is now regarded as classic: …crucial in the outburst of quality traditional music in the 1970s and ever since... (Gael Linn). It’s interesting that this group debuted sounds that were hitherto little known in Ireland, where traditional music was mainly seen as a past-time indulged in only by ‘rural individuals with string tied around their trousers’ or by large ceilidh bands following in the dance hall convention. In fact, Ó Riada’s vision was already a reality in the Irish communities around Camden Town in London in the 1950s and 60s, fortunately recorded by collectors such as Bill Leader and Reg Hall. And, in any case, many of the members of the Ó Riada sa Gaiety group had been playing together since 1962: they called themselves The Chieftains! Before the Gaiety concert Ó Riada had already made his name writing scores for Irish films, including the 1959 documentary by George Morrison on Ireland’s struggle for freedom in the period 1896-1918. 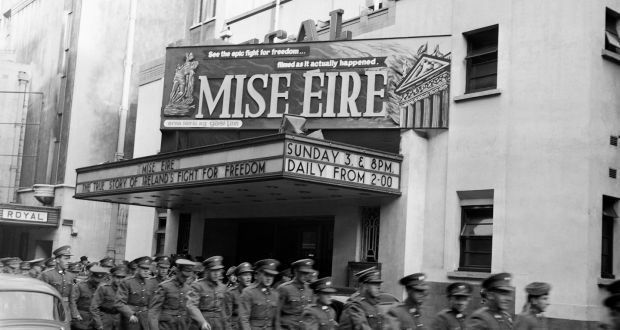 Mise Éire (I am Ireland) uses music which draws on traditional themes. The film was hugely popular when the 1916 rising was commemorated fifty years on, and in the recent 2016 centenary commemorations the main theme – based on Róisín Dubh was often featured. Róisín Dubh means “Dark Rose” and is one of Ireland’s most famous political songs. The modern translation is credited to Pádraig Pearse. Here’s a link to a fascinating recent TG4 documentary about the making of the film, which includes extracts. That book title: An Poc ar buile; it means ‘The Mad Puck Goat’. Wherever Seán goes he will be asked to sing the song, and our session with him in Bantry was no exception. It’s supposedly a patriotic fighting song. In Irish, it tells the tale of a large billy goat who defied Cromwell and ran down the mountain to warn the people of Killorglin, Co Kerry, of the invading army. 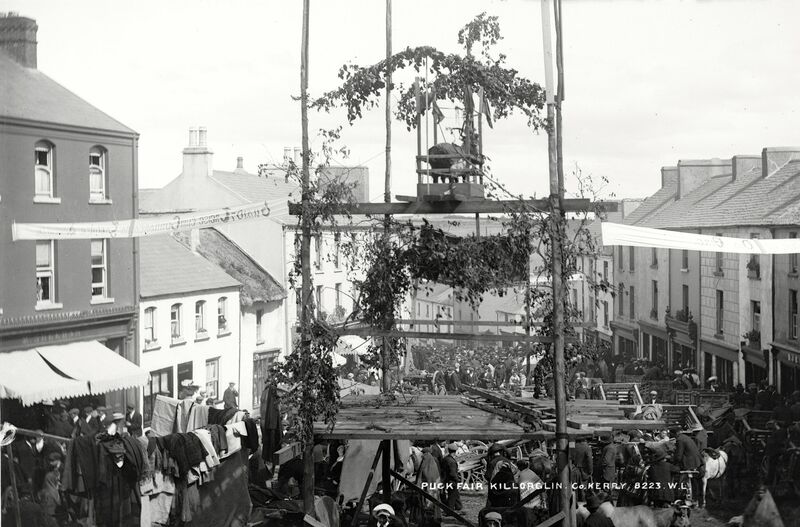 Killorglin survived the attack, and the event is commemorated every year on August 10th, when a wild goat is raised to the top of a scaffold tower and presides for three days over the festivities. Here is Seán singing about the goat’s exploits at the Cavan Fleadh Cheoil in 2010. He’d seen riding on the poc ar buile. This entry was posted in Ballylickey, Bantry, Cork, Irish Heroes, Irish History, Traditional Music, West Cork, West Cork Blog and tagged An Poc ar buile, Ó Riada sa Gaiety, Bantry Literary Festival, Bill Leader, Gaiety Theatre Dublin, Killorglin Puck Fair, Manning's Emporium, Mise Éire Film, Paddy in the Smoke, Patricia Aherne, Pádraig Pearse, Róisín Dubh, Reg Hall, Seán Ó Riada, Seán Ó Sé, The Chieftains. Bookmark the permalink. Seán looks a very warm and charming man, and I didn’t realise how the Puck Fair originated. What a lot of very varied experiences we’re being treated to at the moment! Brilliant I have a Seán Ó Sé record from way back! !